This of course is what makes Fr. Baier’s analysis so interesting to read today. Writing thirty years before the Council, in a journal like Orate Fratres (so closely associated with Collegeville, Minnesota and the Liturgical Movement), there is no agenda or ulterior motive behind his words. His writing is free from the post-conciliar baggage that so often comes with these discussions. 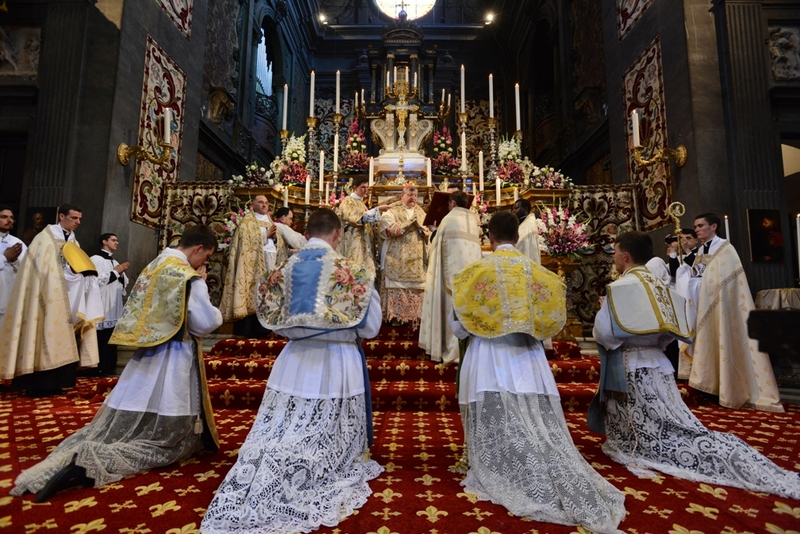 Understanding the purpose behind vestments, may we see even more priests and bishops in the coming years contribute to the glorification of God by the liturgical vestments they use. Posted on January 4, 2016, in liturgy and tagged fr. david baier, liturgical vestments, orate fratres, sacred vestments, traditional liturgy. Bookmark the permalink. 5 Comments. Your link does not go to the 1933 articl, but CWR piece. It is good you chose a photograph of the schismatic, heretical Ray Burke to illustrate your weak attempt at justification for wanting to turn the liturgical clock back, as former Pope Ratzy tried, to Berlin, 1930, where lacemakers and tassel-manufacturers could barely keep up with the demand for more and more archaic, silly frippery for the feminized “clergy” of the time to prance and parade in a public display of their own vanity. Burke’s silly fetishization of the clerical coutoure excess of the 1930s highlights his own selfish nature, which is also brought to the forefront with his latest defiance of our Holy Father. Truly obscene display of personal vanity – nothing more. Stop trying to make it some sort of movement in the Church. No normal churchman is at all concerned with this silliness. Congratulations, I. R. Steen, you win the Least Intelligent Comment of All Time award.